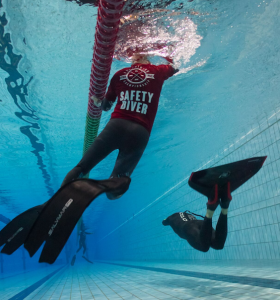 The Australian Freediving Association and the Goldy Freed iving Club will host the AFA Pool National Championships on the Gold Coast from Fri, 29 March to Sun, 31 March, 2019 at the Gold Coast Aquatic Centre. This competition is conducted under the AIDA International rules and open to all AFA members regardless of their nationality. It is not a world record status competition. Gold Coast Aquatic Centre (GCAC) is a state of the art facility that hosted the swimming and diving events during the Gold Coast 2018 Commonwealth Games. You must be a member of AFA to be able to compete in this competition. Please note that you must be a full financial member of the AFA if you are an Australian citizen (regardless of place of residence) or a current resident in Australia (regardless of nationality). If you are not an Australian citizen and do not live in Australia (e.g. visiting Australia for this competition), you can obtain a temporary Competition Membership on checkout. Registration fee: There is an early-bird discount available – get in quick! Registration fee includes participation in the competition (3 days), registration of results with the AIDA ranking database, and a competition merchandise item (TBD). Accommodation, transport, and food and drinks at the after party are not included in the registration fee. Cancellation policy: If you decide to withdraw your registration, we will refund your registration fee according to the guidelines below. Registration is now open to all athletes. AIDA Medical Form (new version) can be downloaded from AIDA International’s website. Medical form: All athletes must present a medical certificate of “non contraindication to freediving” at the on-site registration on Day 1. Medical certificate must be signed by a medical doctor and must not be more than one year old. If you are using the AIDA Medical Form, it must be signed by a doctor and must have the doctor’s stamp. Old version of the AIDA Medical form is also accepted and can be downloaded from here.